Wow, what a year! We are always blown away with your stunning handmade jewellery designs and 2017 is definitely the one to beat! 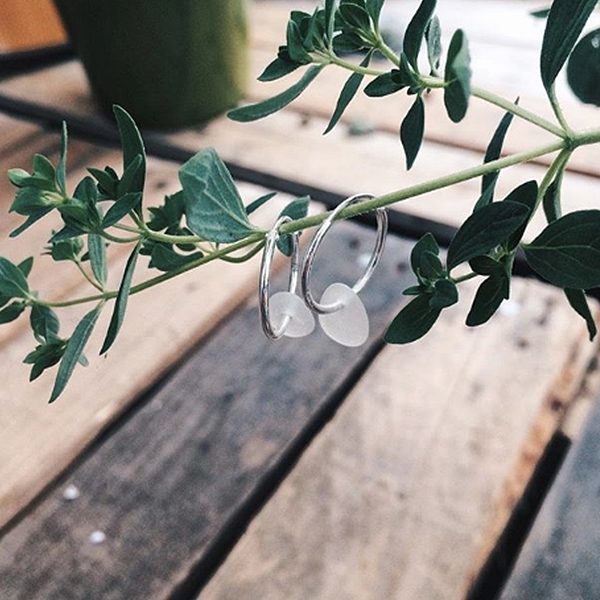 We love supporting jewellery makers, sharing handmade jewellery designs and inspiration. 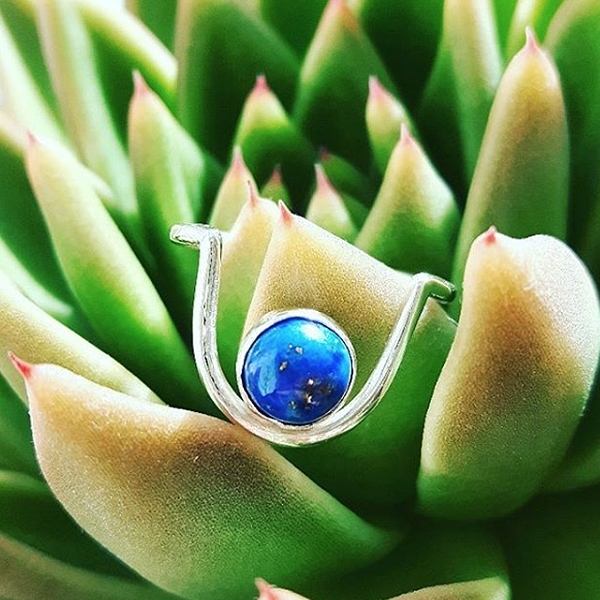 We feel so lucky to have such an amazing community of jewellers using our high quality jewellery making supplies and transforming them into something so magical. It was so hard to pick our favourite designs of 2017 but we hope you love them too as much as we do. We're already excited for what's to come in 2018! - Designs From Ire. We just love sunstone! Irene never fails to create stunning and intricate designs. - Sadie Jewellery. Dreamy huh? Sea glass jewellery is something we love, especially as we live beside the sea. 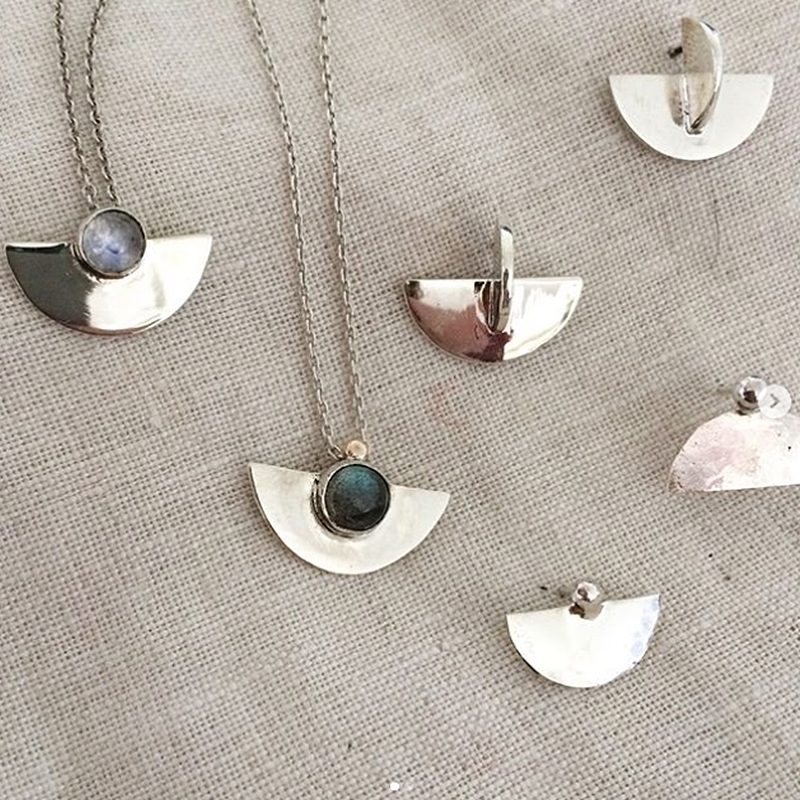 We're always refreshing Sadie's Instagram to see what she's making next! This one challenged me, but I loved making it! 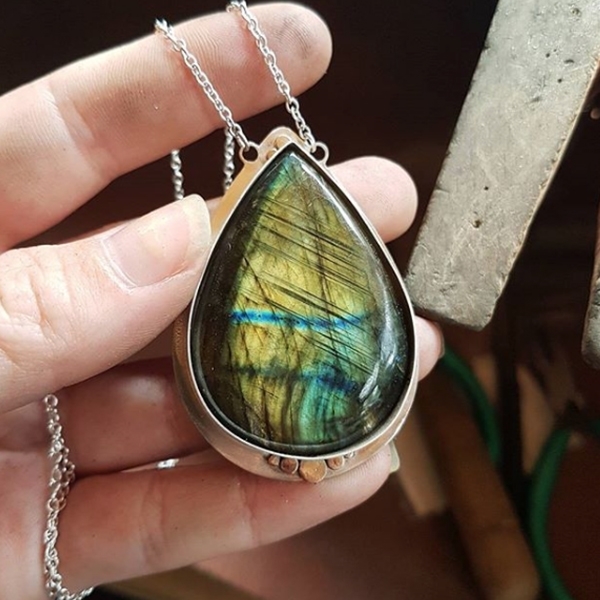 Blue flashy labradorite from Kernowcraft. I'm so pleased with it! The design wasn't what I had in mind but inspiration took me elsewhere. - Blownsilver. 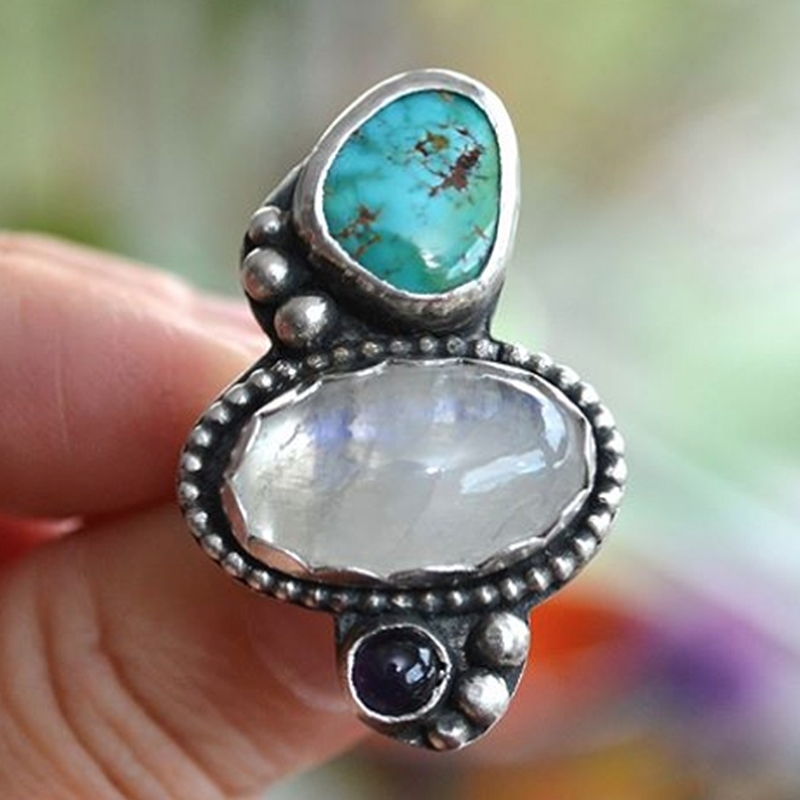 So intricate, the detail is amazing and how amazing does that labradorite look? Lapis Luzuli ring created by the talented jeweller Emily Booth Jewellery. We just love Emily's geometric designs! What a dreamy ring combo! Yasmin Leah's picked labradorite and amazonite to complete the look and we're obsessed! 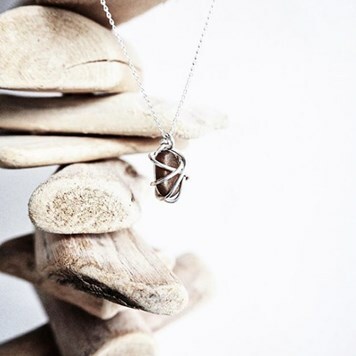 A super simple silver wire wrap, wear a piece of ocean treasure wherever you go. - Louise, creator of Shore Fine Design. Sea glass designs are always something special, the use of wire wrapping adds that special touch. 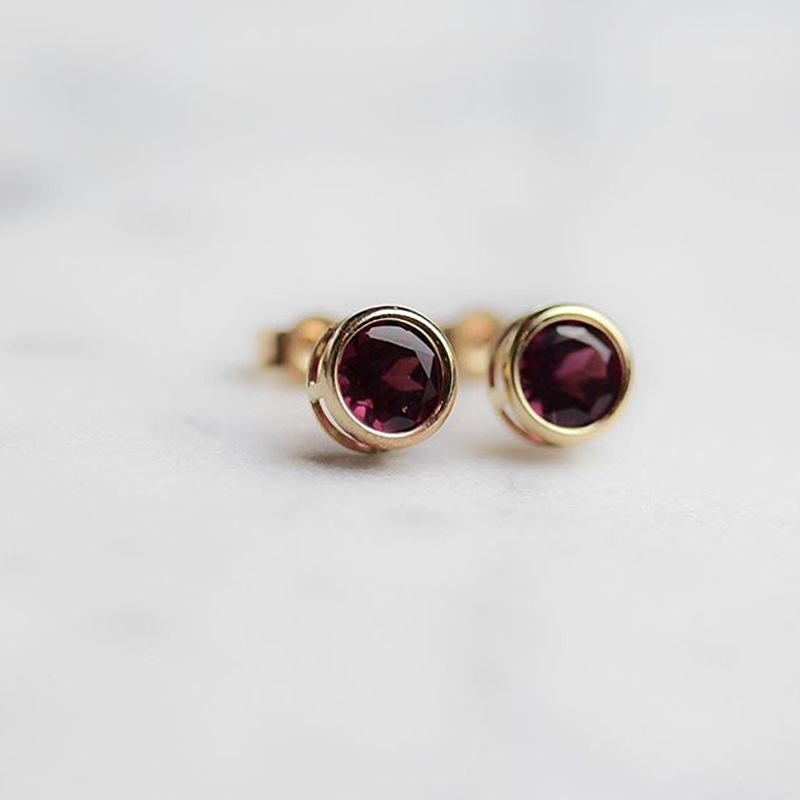 Sometimes, you need something simple to let the gemstone do the talking. 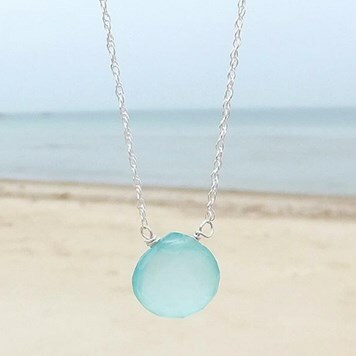 Victoria from VL Jewellery creates a sea inspired aqua blue chalcedony briolette necklace - this colour is so beautiful. Frosty sea glass and silver wire loops. Experimenting with different designs for upcoming craft fairs. - Of Land And Sea Designs. 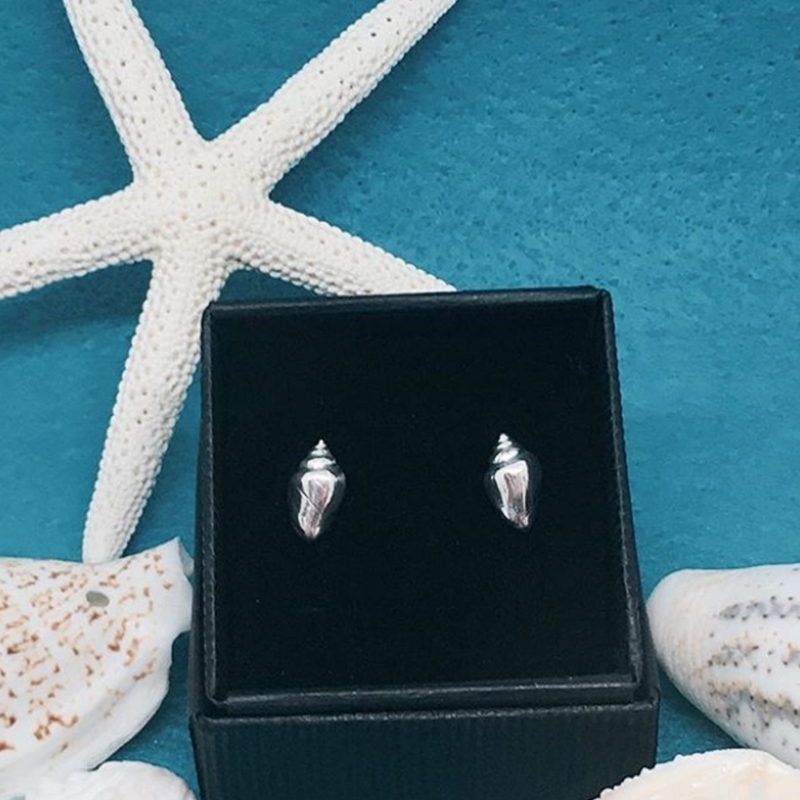 As another Cornish designer, it's no wonder we have a soft spot for sea inspired designs! This super cute little Owlet went to her new home today. A solid little lump, with the birthday girl's initial on the back. - Saffron Anaphoenix. Imagine receiving this handmade beauty as a gift?! 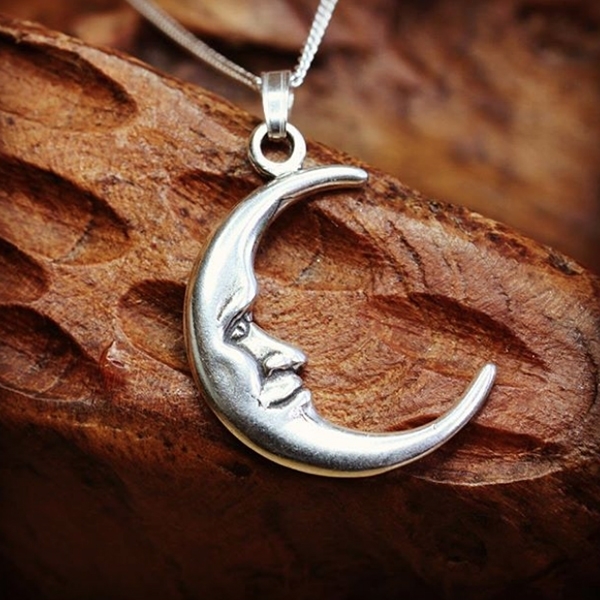 How lovely is this moon charm necklace, made by The Nature Angel? 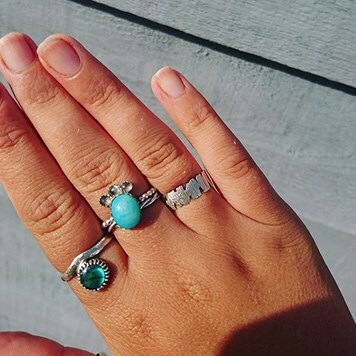 We love seeing our charms transformed! 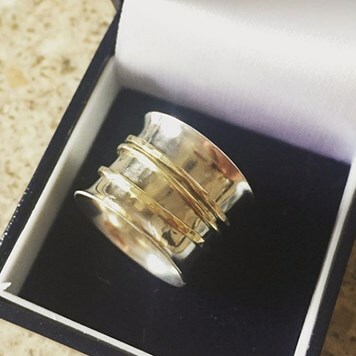 Eco silver and brass spinner ring ready to be sent to its new home. - Jessica - The Enamel House. What a stunner! Eco silver jewellery has become really popular in 2017, something that buyers continue to look out for. Jenny from Curious Frank, calls this piece 'Honey'. Such a stunning necklace using the beauty of citrine. 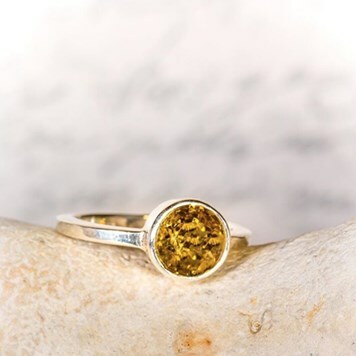 Another citrine treat by Sudevi from Bluehill Jewellery. 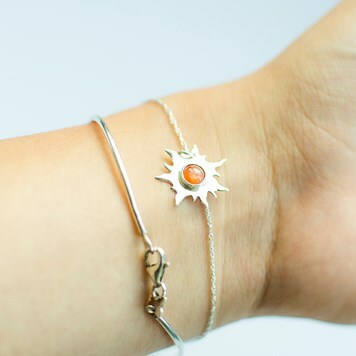 A perfect spring accessory. This is a gorgeous citrine stone I set. 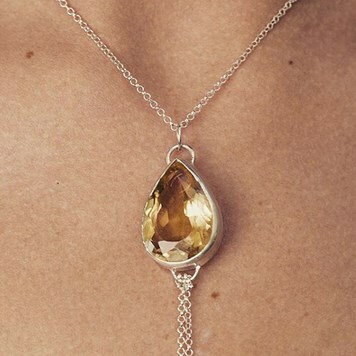 Did you know citrine is called 'the merchant's stone' in that it attracts wealth and prosperity, it also releases negativity and sparks imagination. 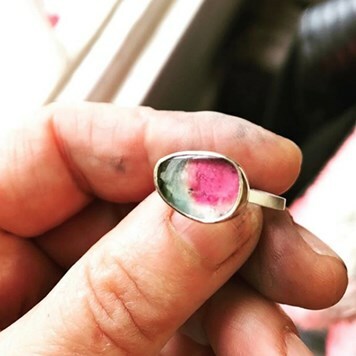 It's amazing to see designs using watermelon tourmaline slices! Cindy Ashbridge Jewellery did such a wonderful job transforming this into something even more beautiful which can be worn forever. - Lyzanne from Kreative Chaos. 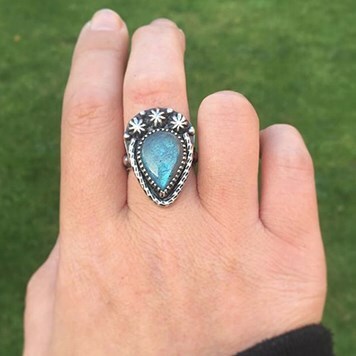 We love hearing about the inspiration behind designs and this is so sweet! 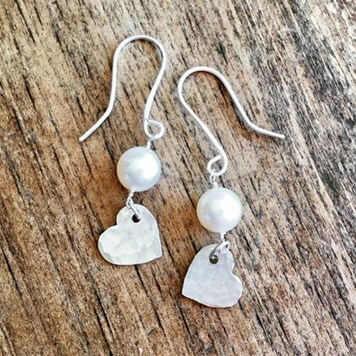 Heart pearl earrings, how beautiful are these? A 40th birthday gift made by Made In Beckenham. 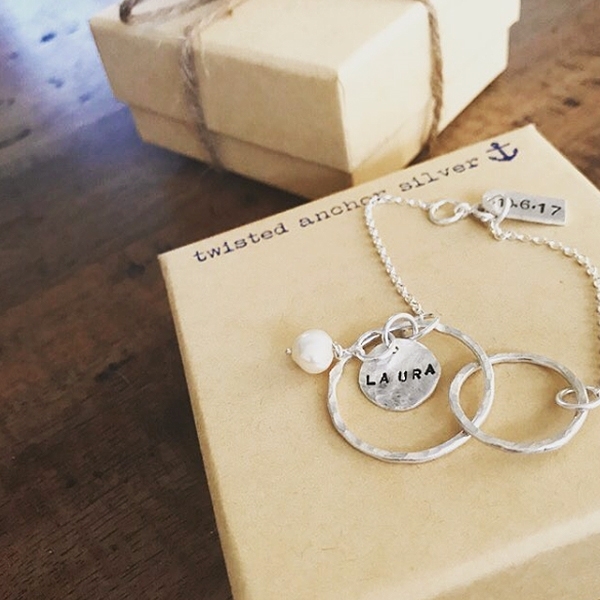 Was such a pleasure making bridesmaid gifts for a very special friend of mine. - Cody, Twisted Anchor Silver. Personalisation, weddings & pearls? Perfection, what lucky bridesmaids! Sometimes pearls are the most beautiful when they are kept simple. 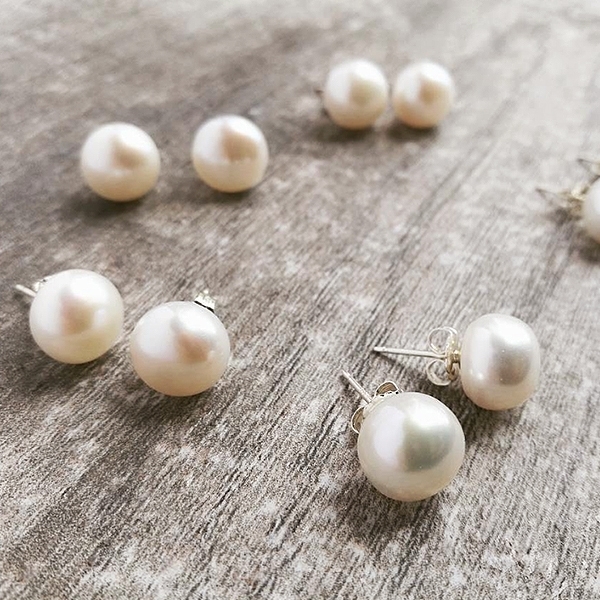 A set of stunning large ivory pearl studs for a group of lovely bridesmaids! 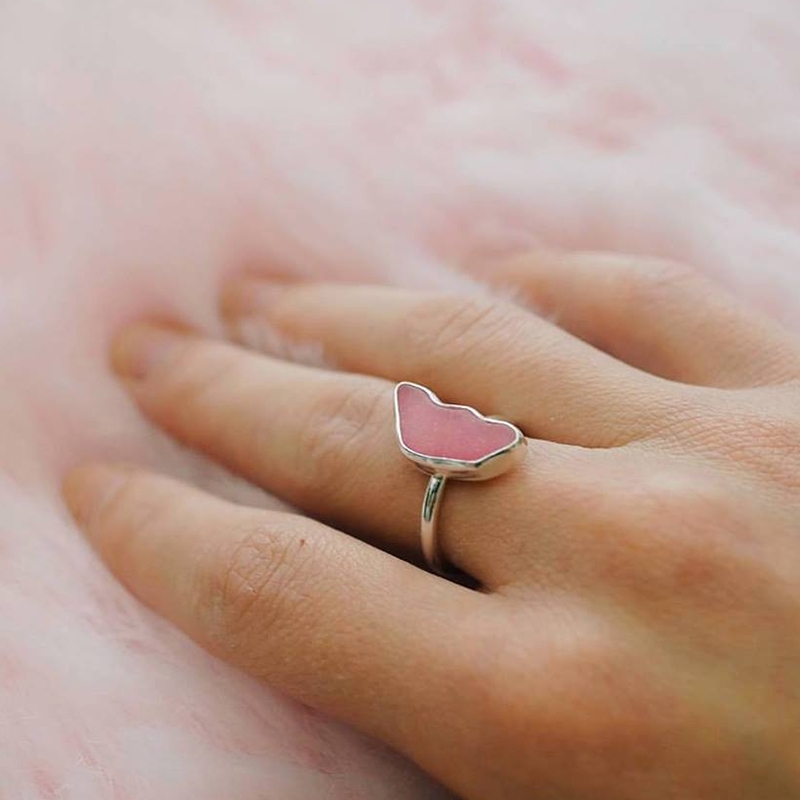 - Cat Stacey Jewellery. We agree, simple yet elegant. Really pleased with my pendant which will be part of my "Blowing Bubbles" collection when my online shop launches in the new year... Inspired by Aria and her love to catch and pop bubbles. 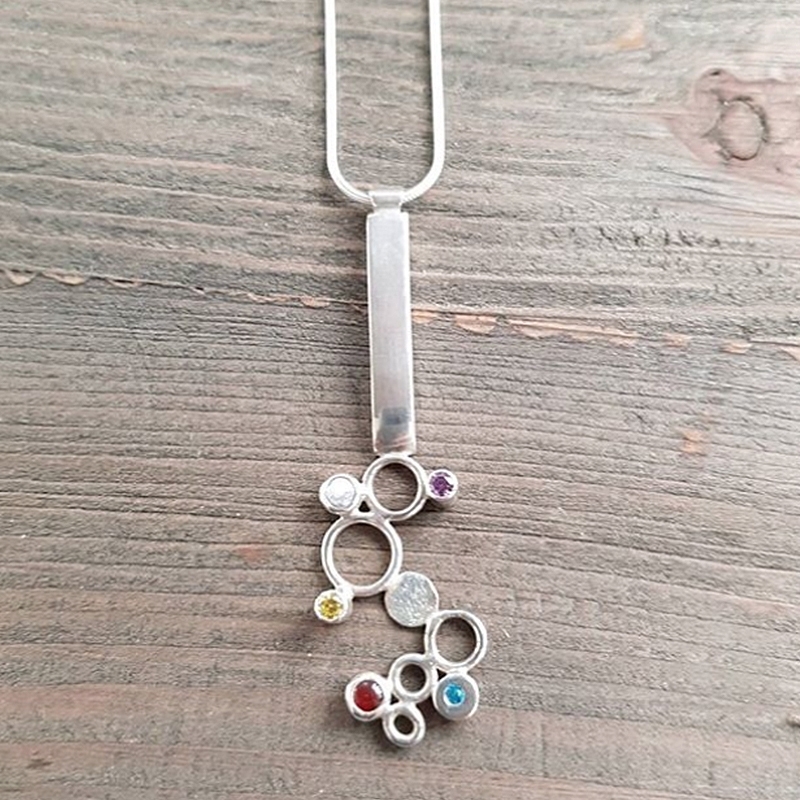 Bursting with colour, the multicoloured gemstones represent the various colours found in bubbles. Gemstones from Kernowcraft. A commissioned piece for a lovely lady whom has recently had a baby girl. 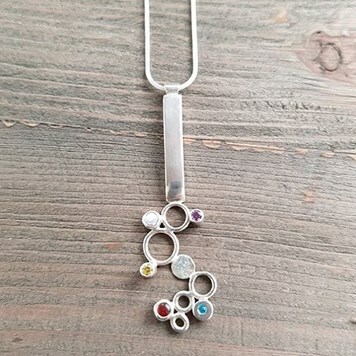 Each gemstone represents her children, two boys and a girl. One of my favourite pieces to make. - Minimo Jewellery. 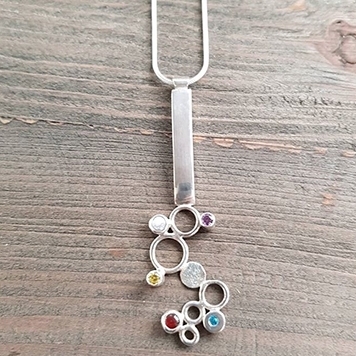 Such a special design, similar to using birthstones to create a personal touch. Tiny spaceships made from recycled sterling silver, moonstone and labradorite with a 9ct gold detail. 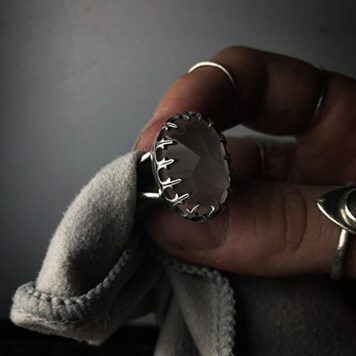 A statement rose quartz dagger ring by the talented Amber Wheatley Designs. So pretty! How can you not love drusy gemstones? 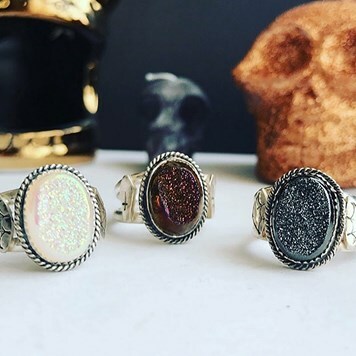 In a range of sparkly colours, Natasha from Rabbitbonesx has created these rings and we want them all! 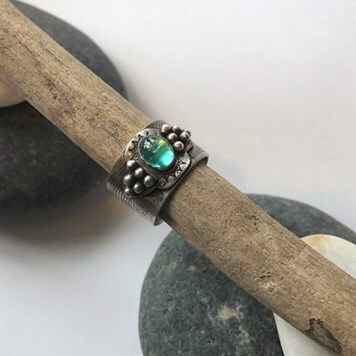 A detailed thumb ring with wave impressions reflecting Ceri's love of the ocean, stamp work and a breathtaking apatite gemstone at the heart of it. This is going to be worn as Ceri's 'something blue', it's the most stunning colour that reflects green tones like the sea. - Smugglers Treasures Jewellery. What a lucky bride and something she can treasure forever. 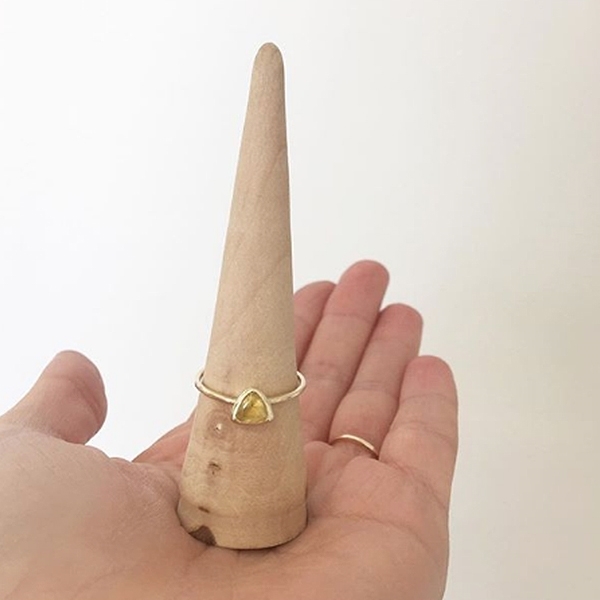 Did you read our collaboration with Little Joy Jewellery? 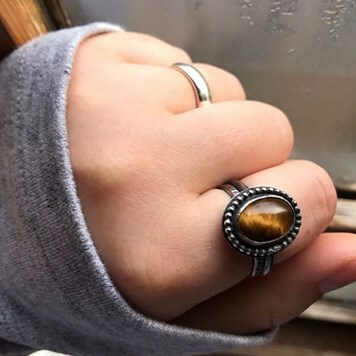 Lauren's opal ring was something magical. Read Lauren's guest post here. Love these blue gemstones together on a necklace. 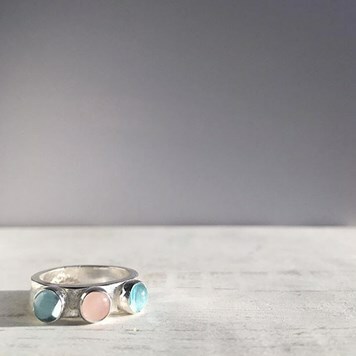 Some topaz mixed with blue and aqua blue chalcedony with a few little pearls - it may be coming up to winter but these summery colours make me happy. - Jessica Rose London. Summery coloured briolette beads? We love! 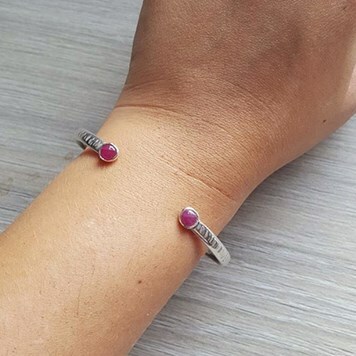 My most recent creation, a bark textured bangle with ruby stones, the July birthstone! Loved working with the rich colour of this stone. - Jade Seraphina. We're huge fans of ruby and this is such a pretty design, perfect for everyday wear. Absolutely in love with this piece, can’t decide if I want to keep it. 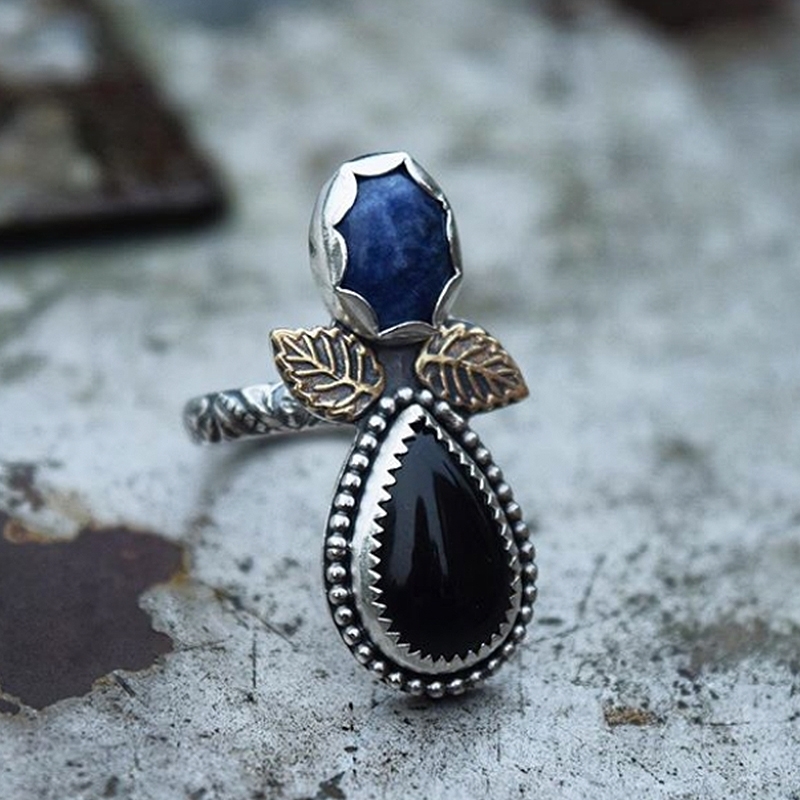 Sodalite and Onyx featuring brass leaf accents. 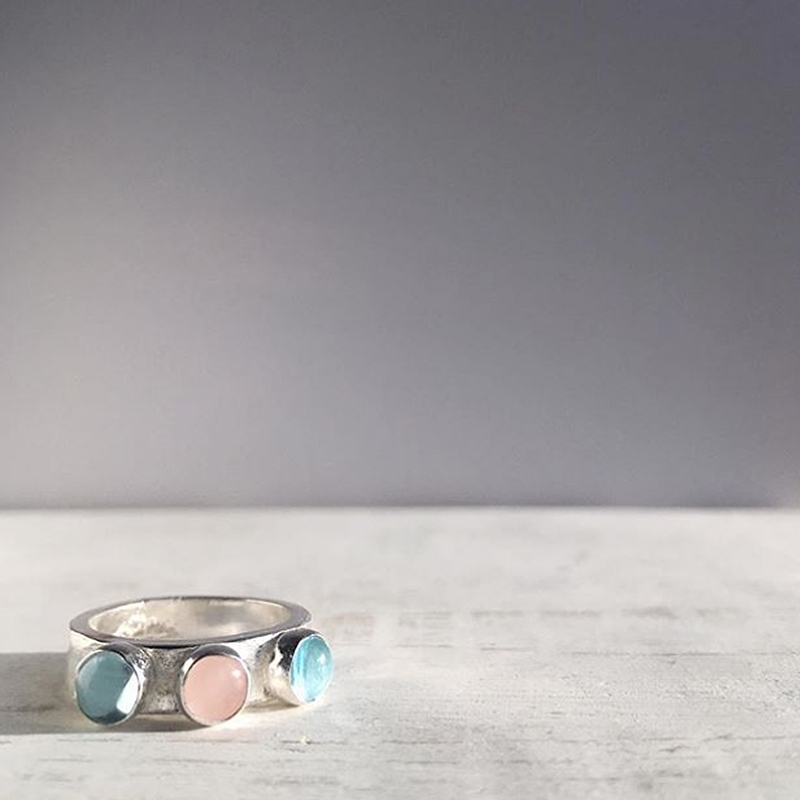 - Sarah, Moonsalt Jewellery. We have to say, we're absolutely in love with this too! 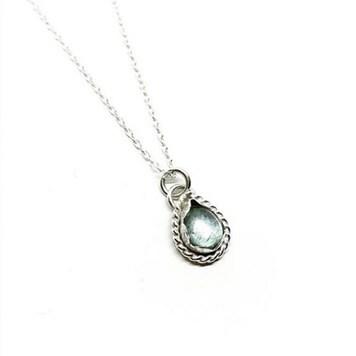 This pear shaped aquamarine is just lovely. - Samantha, A Frozen Star. 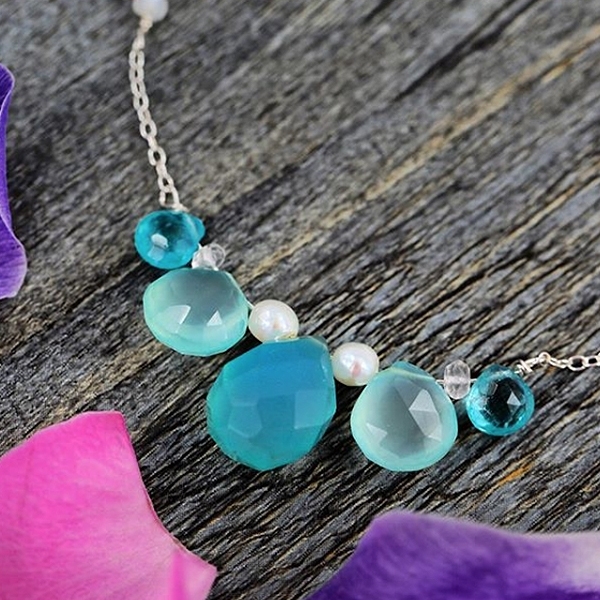 This gemstone is so mesmerising, we love the detail in this necklace. I finally used the lovely tigereye stone from Kernowcraft and had a chance to try out the liver of sulphur solution I also got from them. Very happy with the finish. Definitely great experience for me. MATERIAL: EcoSilver (100% recycled sterling silver)/tiger eye. FINISH: oxidised with liver of sulphur solution. - Fabled Silver. 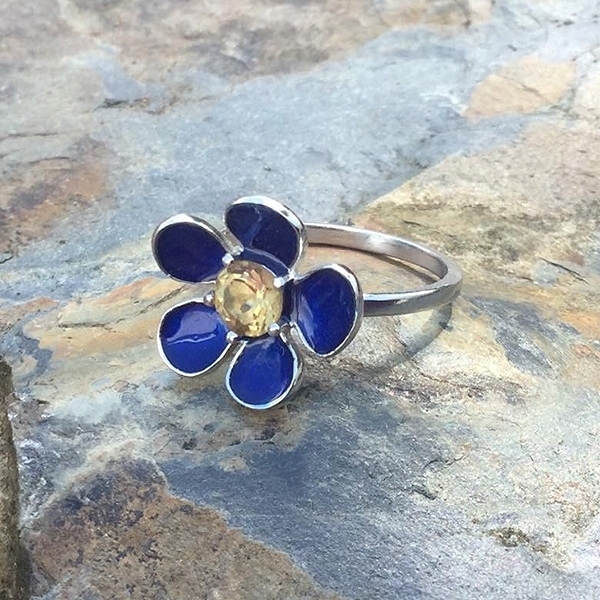 We just love how liver of sulphur can transform a piece! 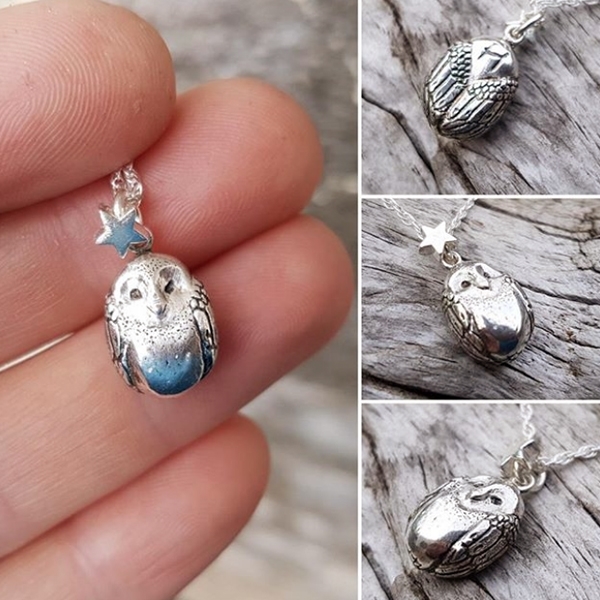 Considering I make jewellery, I very rarely get chance to make anything for myself so it’s really nice to have finally finished my belated birthday treat. - Sarah, Midnight Alchemy Designs. 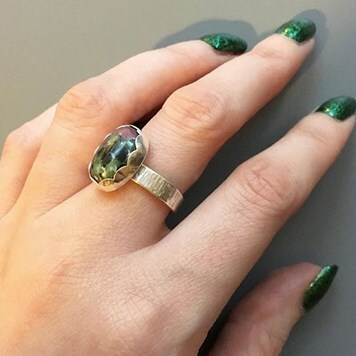 Featuring one of our beautiful ruby with zoisite gemstones! I love working with and supporting brands that make it possible and encourage us to explore our creativity. And, @kernowcraft is a company that does just that. They have supplies for jewellers of all experience levels and abilities. And, I’m proud to say that they played a key role in my journey to becoming a full-time jeweller. They probably didn’t even know this, but they kept me company on days when I didn’t feel like I had much purpose at all. 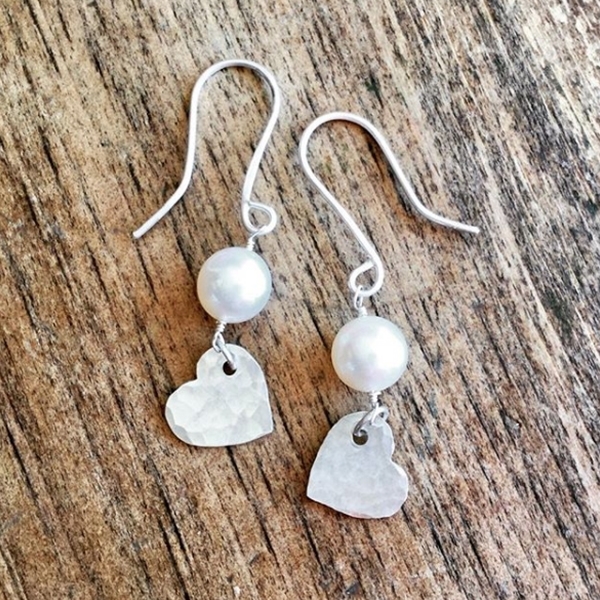 I LOVED making these earrings for someone special for Christmas. - Caitie, When Caitie Met Soda. Such a lovely comment, it means so much that we can be part of people's jewellery making journeys! Here, Caitie uses Kernowcraft's rhodolite garnet faceted stones. Handmade sterling silver statement ring with Nevada Turquoise, Moonstone and Amethyst.